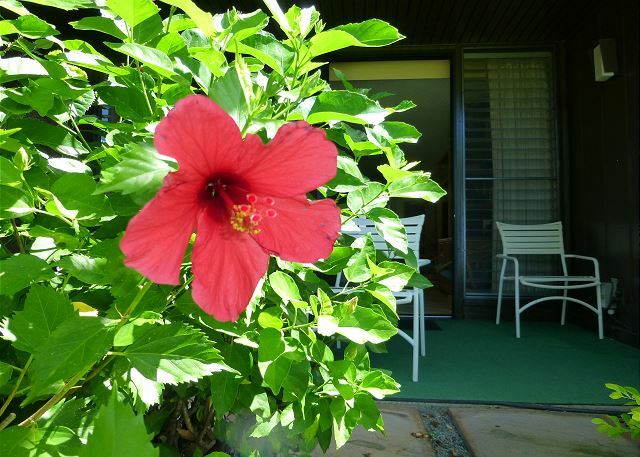 Welcome to our special part of Hawaii in Kahana, West Maui! This tranquil, one-bedroom, one-bath condo with spectacular ocean view is a short walk from the beach and the rolling waves of the Pacific. Catch front-row views of dolphins, whales, and giant sea turtles frolicking in the ocean. Or catch a wave at the nearby surf break (or watch others attempt it). 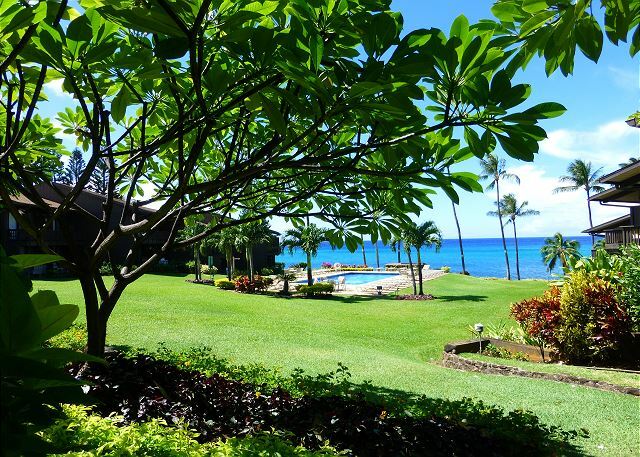 With a setting like this, and few distractions, you’ll have idyllic Hawaii vacation. Nothing about our condo is high-maintenance, and everything is comfortable. Guests appreciate our quiet, corner spot. We also have cozy furnishings and amenities like an uncrowded pool beside the ocean and sunset BBQs on the beach. Awake with the sun and step out onto the private lanai with intimate seating for two, coffee in hand, and enjoy the breezy morning as it rustles the tropical landscape. As the day warms up, change into your suit and head to the heated saltwater pool, where plenty of lounge chairs await. The pool’s ocean front location gives an excellent vantage point for the sea, its wildlife, and lava rocks along the beach. Indoors, large louvered windows slat open to let in the delicious breezes. And, if you decide to skip the sunrise and have a luxurious late morning in bed, blackout shades keep the sunlight from your eyes. The huge, king-sized bed offers plenty of room to sprawl out, too. This condo is perfect for a couple on a romantic retreat, but for extra guests or kids, the sofa converts to a full-sized bed. 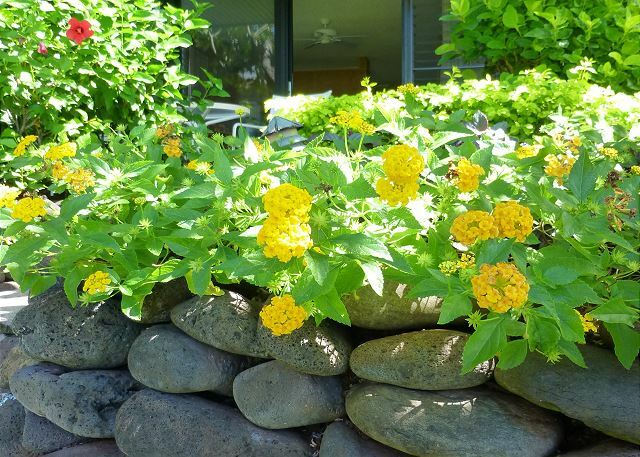 Don’t let mobility issues affect your West Maui vacation. We offer safety features like handrails in the shower, and our first-floor location means no stairs to climb. When hunger calls you away from the beach or pool, there are plenty of options, from family markets to five-star restaurants. For the first option, we’ve provided a fully stocked kitchen with flat-top stove and all the utensils and cookware you need. The kitchen window’s ocean views add to the cook’s pleasure. For gourmet ingredients to compliment your meal, there’s also an excellent high-end grocery store nearby with some of Maui’s best ahi poke and fresh fruit. A 15-minute drive takes you to Honolua Bay, with its world-class snorkeling, surfing and a wide selection of restaurants. We hope to see you soon! Get in touch today to book your reservation and experience this quiet slice of paradise! Excellent stay. Beautiful view. Great pool and bbq. Right between our two favorite beaches. Great price. Very helpful and pleasant staff. What a pleasant & relaxing place to stay. Quiet & clean. Well kept grounds with easy access to beach. Turtles! We’ve never seen that many in one place. Walking distance to coffee, shopping & farmers market. I have to add, the staff was wonderful. Already booked for our 45th! Just the relaxing paradise I was looking for. Three words describe my experience, friendly, relaxing and beautiful. 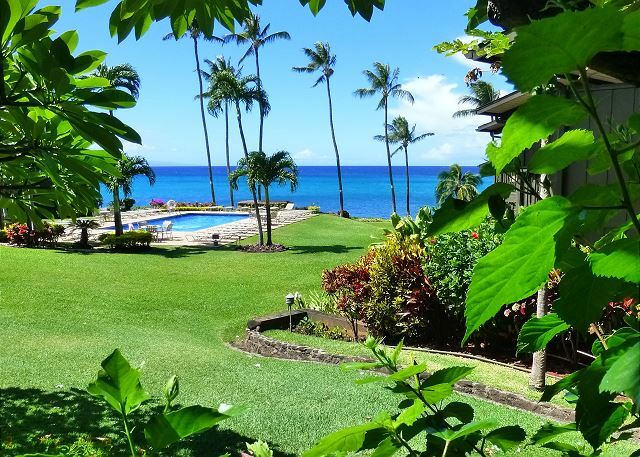 It was such a pleasure to stay at Mahina Surf. From the ease of getting the key to checking out. 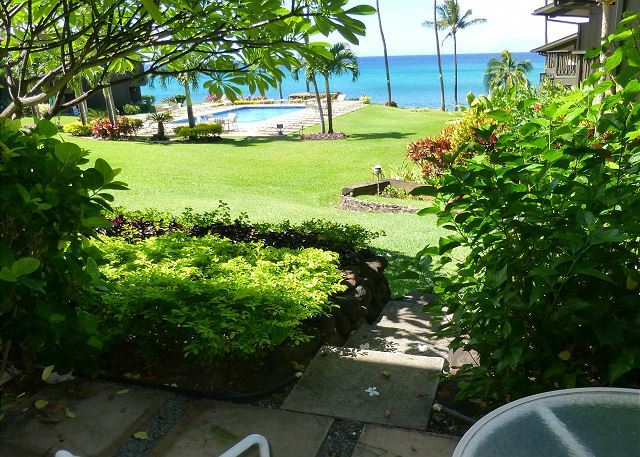 Mahina Surf gives you the feeling of being somewhere where you are familiar with. It is conveniently located and the staff is very friendly. I loved it! Zoran has a beautiful spot, in a quiet area. Was just as described and communication was easy and clear. Overall it was a great place I would highly recommend. Thanks Zoran!